"If Your Going Down There, You're Going To Die!" 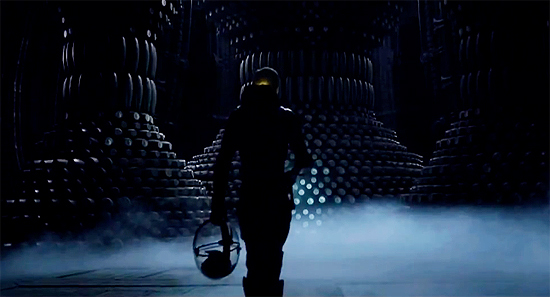 The Second TV Spot for 'PROMETHEUS' Featuring New Footage! The Second TV Spot for Ridley Scott's Prometheus has arrived & the teaser includes some slick new footage, successfully ramping up anticipation. Prometheus arrives in 2D, 3D & 3D IMAX theaters this June 8th & stars Noomi Rapace, Michael Fassbender, Charlize Theron, Idris Elba, Sean Harris, Kate Dickie, Rafe Spall, Logan Marshall-Green & Guy Pearce. Hit the jump for the details. I'm reading: "If Your Going Down There, You're Going To Die!" The Second TV Spot for 'PROMETHEUS' Featuring New Footage!Tweet this!